Inspire Magazine speaks with Dr Sofian Sedira from the Ceramic Laboratory at the University of Constantine 1 and lead author of the paper entitled: “Silver nanoparticles in combination with acetic acid and zinc oxide quantum dots for antibacterial activities improvement—A comparative study”, and which won the 2015 Algerian Paper of the Year Award in Biological Science. 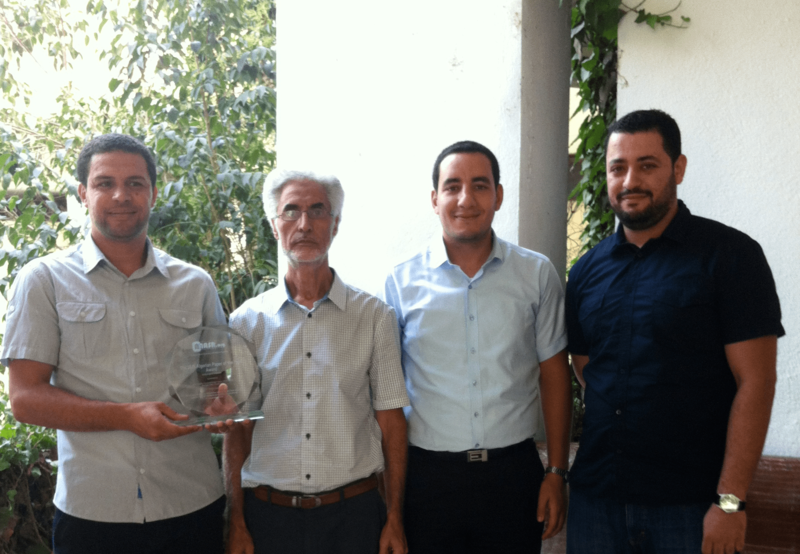 Sofian Sedira: We are very happy to have won this award and we would like to take this opportunity to thank you for your hard work in making this initiative work. We hope that your hard work will continue to encourage and further promote scientific research. SS: Due to their remarkable antibacterial/antivirus properties, silver nanoparticles (Ag NPs) and zinc oxide quantum dots (ZnO Qds) have been extensively studied by many research groups and thus, widely used in the antimicrobial field. Our research has taken a unique approach by investigating the addition of acetic acid, an acid rich in proton (H+), to the silver nanoparticles. This was achievable due to the nanometric size of silver particles which contribute to a high surface area, allowing for greater interaction rates. The H+ protons of the acetic acid lead to an increase in silver ions (Ag+) which is the responsible agent for killing the bacteria. SS: Bacterial infections lead to significant increase in mortality, morbidity and cost of prolonged treatments and hospital stay. In addition, bacteria are becoming increasingly resistant to current treatment, thus it is of paramount importance that new, effective antimicrobial compounds with bactericidal potential against bacteria are investigated and developed. Ag NPs have remarkable antibacterial/antivirus properties and widely used. By enhancing their bactericidal properties using simple, low cost and non-toxic methods can potentially contribute to the field of anti-infective therapy. SS: Although my background is as a physicist, my PhD thesis was in the area of nanoparticles. It was titled “Nanostructures study and synthesis for biomedical and environmental applications: cases of Ag and ZnO nanoparticles and C-TiN thin films”. This was the start of my interest in the area of biological sciences and allowed me to gain the basic foundation to later contribute to the field of nanotechnology. 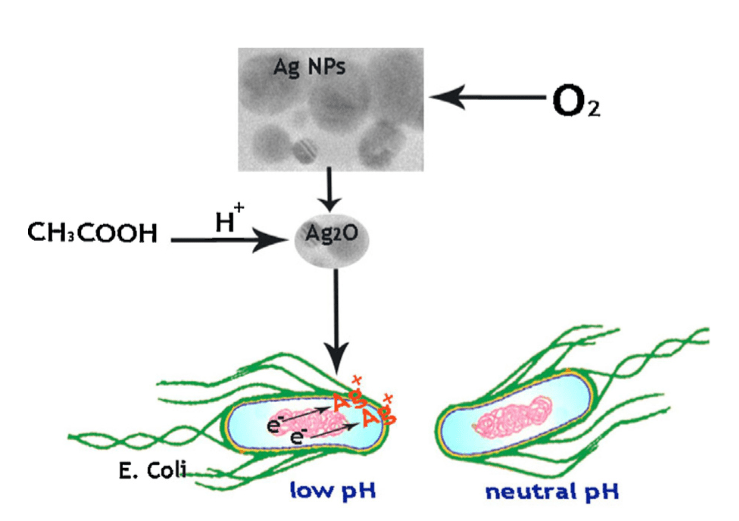 There exists a great deal of research on Ag nanoparticles in antibacterial activity; however, I found little existing research using the addition of acetic acid to the Ag nanoparticles to enhance their bactericidal activity. SS: FEI (Holland) assisted us with Transmission electron microscopy (TEM) analysis and Horiba Jobin Yvon (France) assisted us with Atomic-force microscopy (AFM) observations. In addition, we were able to adopt some work from theses found at the university in order to assist our research. SS: For me personally, nanoparticles have been a special interest of mine since my PhD. For my group, it was an exciting time for us to collaborate with various other research groups in our laboratory “material physics”. What made it even more exciting was that we were given the opportunity to collaborate with a neighboring biologic lab “Microbiological Laboratory Engineering and Application” which facilitated much of the biologic tests and we take the opportunity to thank them infinitely. SS: The past decade has seen the state increase funding and effort to evolve scientific research. However, we do believe that there exists some deficiencies that must be addressed in order to advance research in Algeria. SS: Thank you very much for giving us the opportunity to be part of an exciting, innovative initiative and thank you for giving us the chance to share with you our work and research. Ms Sumaia Mashal obtained a Masters degree in Pharmacy from King's College London in 2012 and is now working towards a Postgraduate Diploma in Pharmacy Practice from University College London. Having completed her hospital residency programme, she is currently a Technical Services and Neonatal Critical Care Pharmacist at Barts Health NHS Trust.